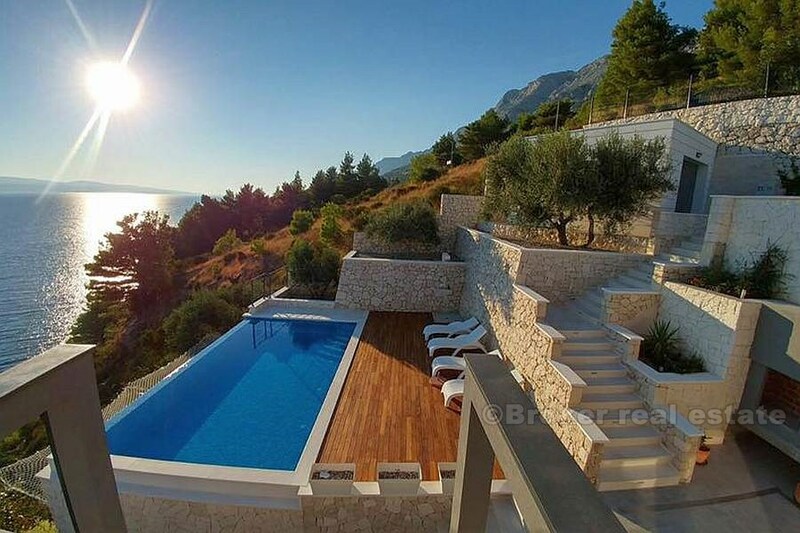 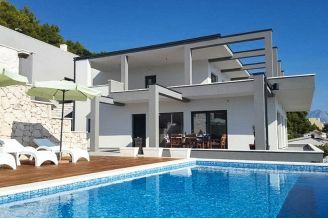 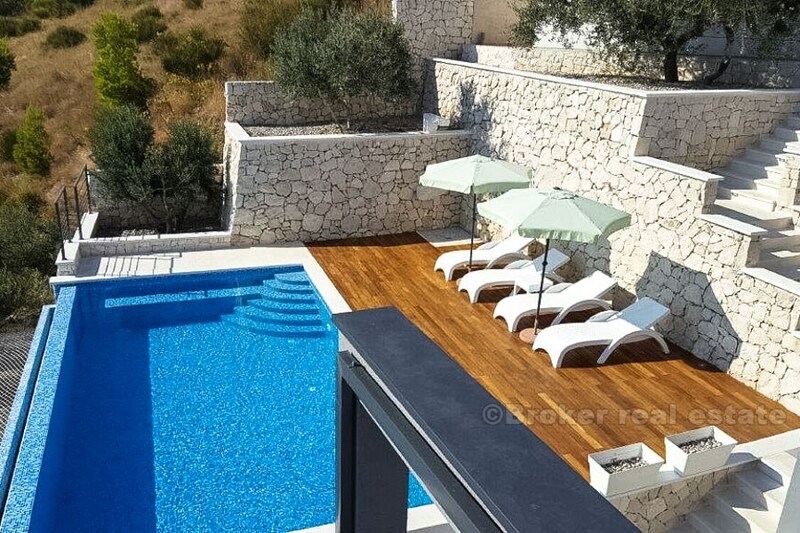 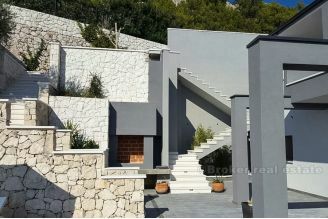 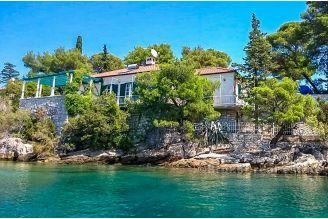 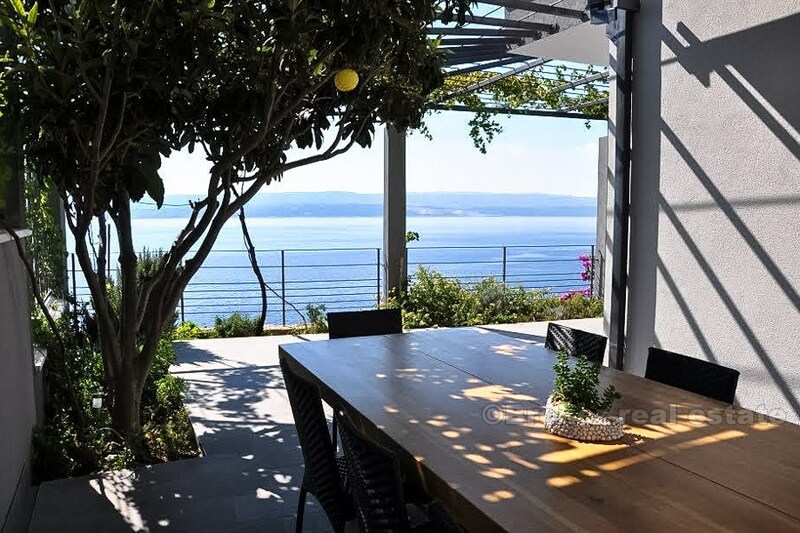 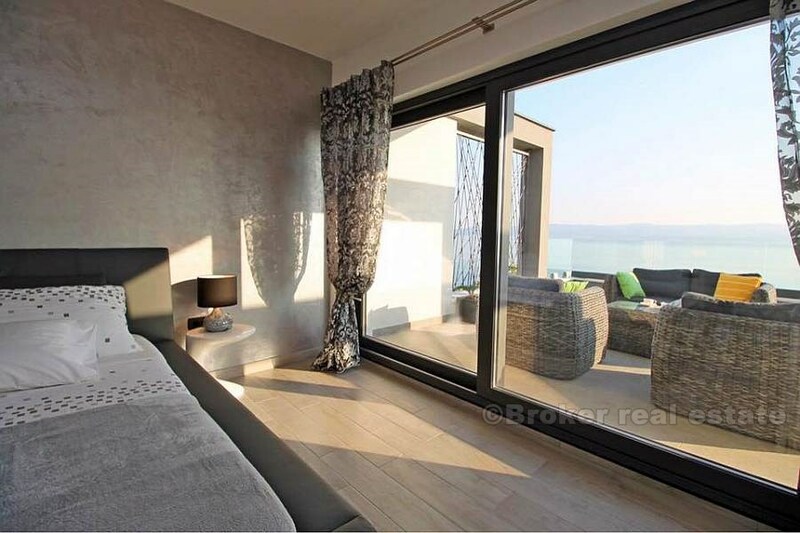 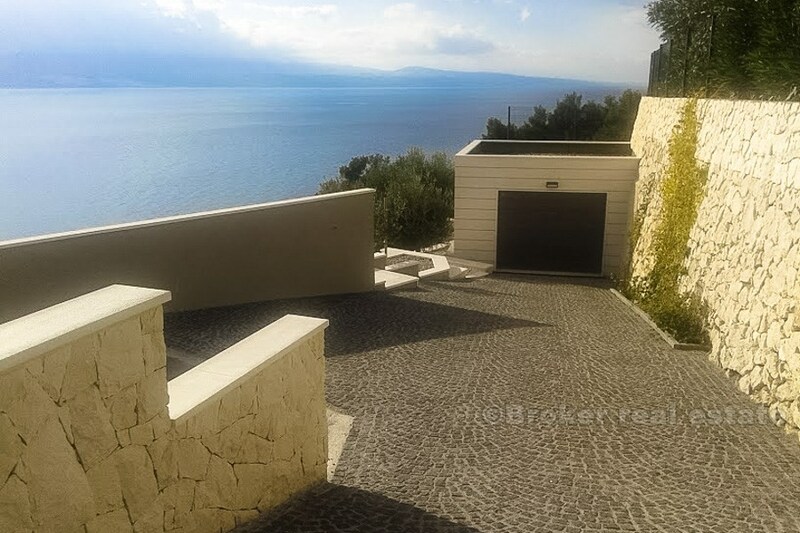 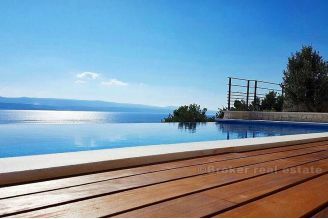 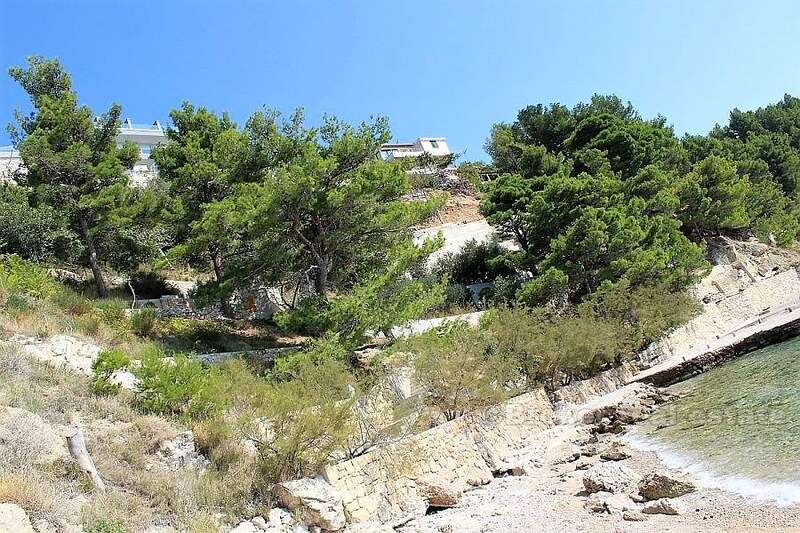 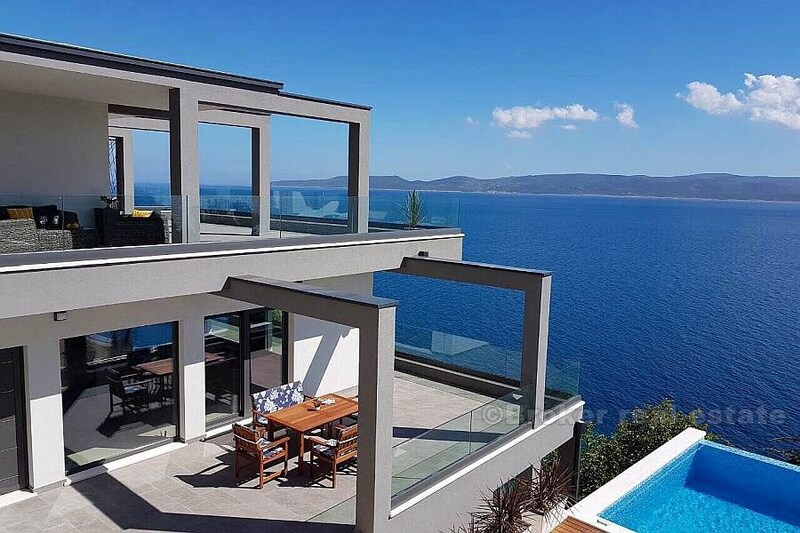 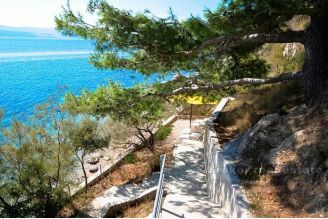 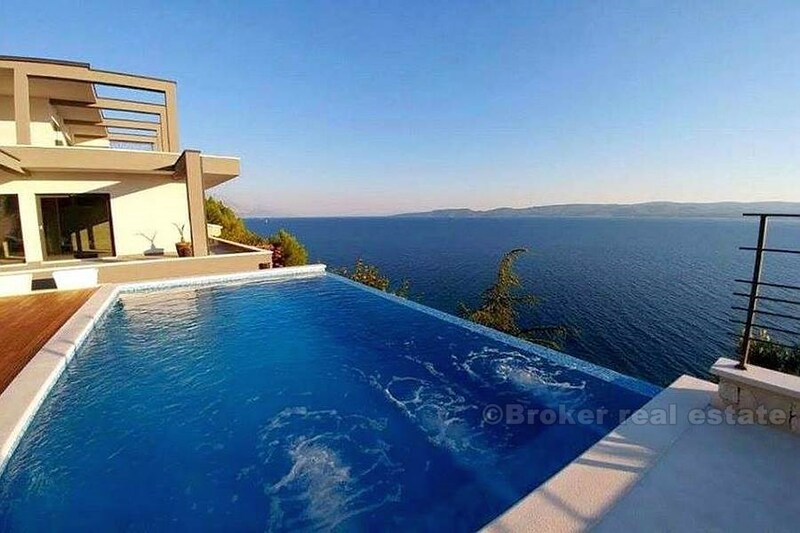 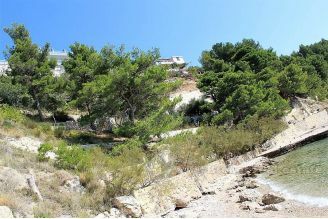 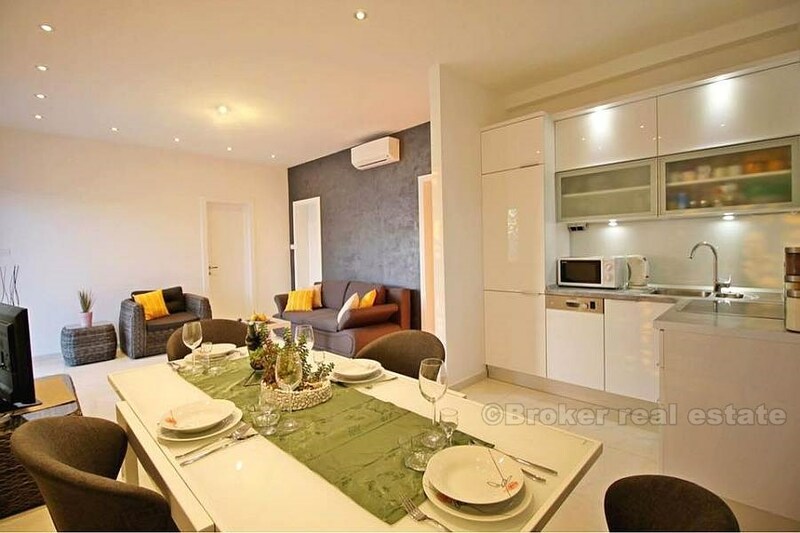 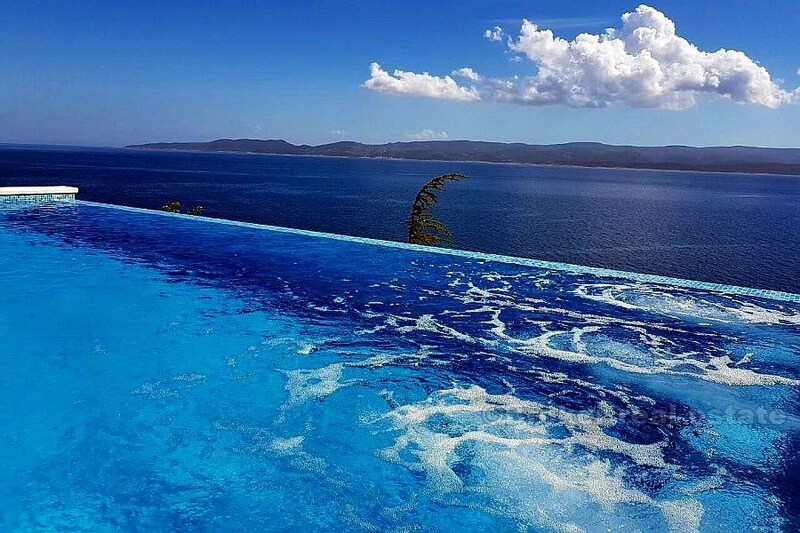 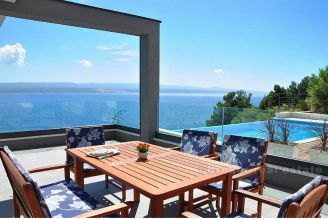 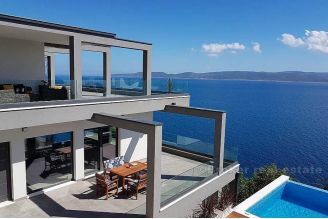 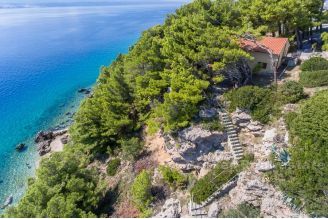 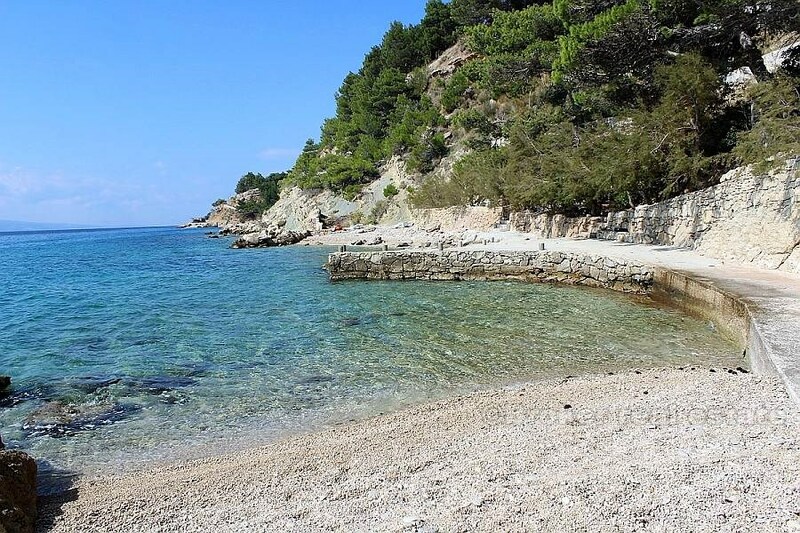 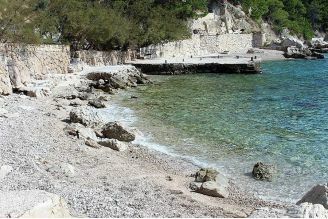 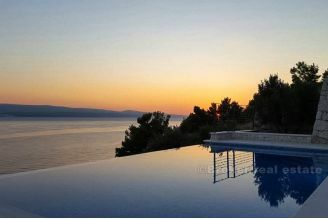 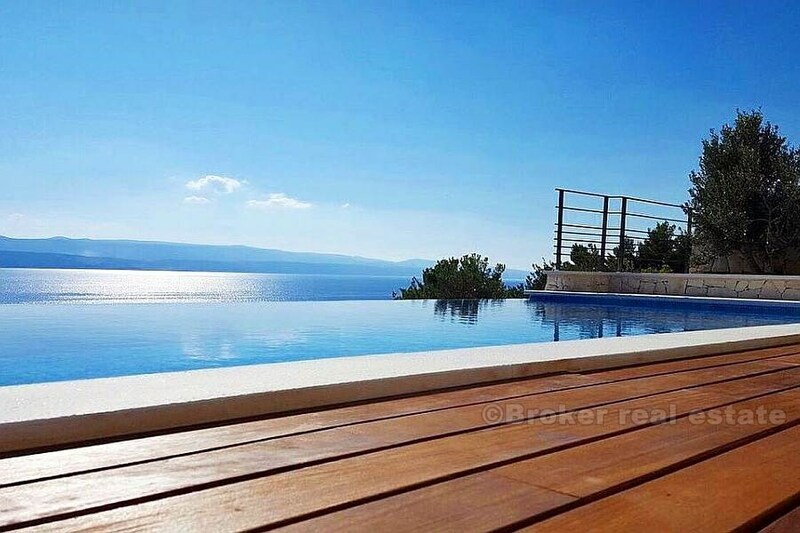 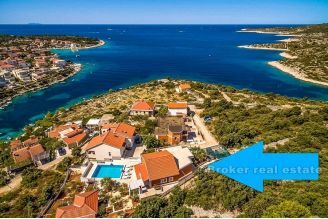 This high class villa at first row to the sea is located near city of Omis. It stands on the plot of 900m2, and consist of 3 floors, terrace, swimming pool, tavern, garage, fenced gate, parking places. 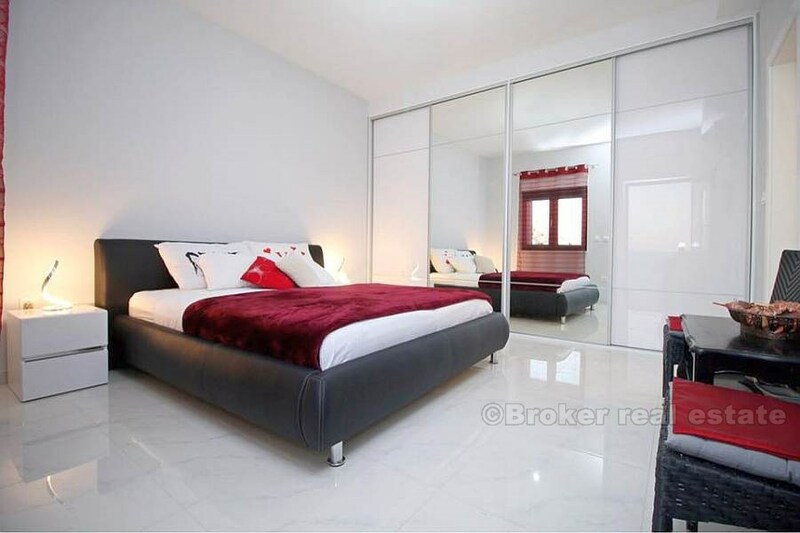 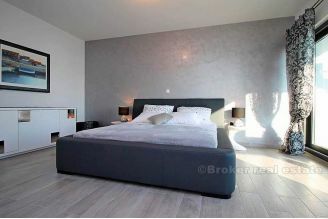 Total living area is approximately 400m2. 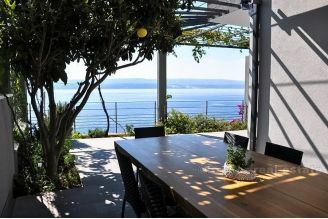 Size of the terrace is additional 100m2. Used materials are top quality, consider with size of plot and its position, it is making this property most exceptional at this area.